Keeping up professional development as a teacher can be hard to fit into a busy timetable. It doesn’t need to be. This online course, broken into simple steps, will help you develop your reflective skills and improve your practice in the classroom. Join a community of others working in education, share your experiences and grow as a teacher. This is professional development designed to help you respond to your needs and is accessible to everyone whatever level of resource is available in their setting. 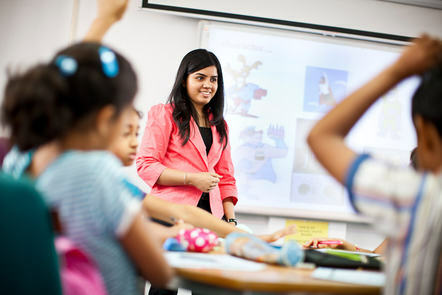 This course has been especially designed for the needs of teachers in India and similar contexts, particularly those teaching in English or who teach English as a subject. However, it is also relevant for teachers around the world and those who teach subjects other than English.